Tom Cruise to return in Top Gun 2? 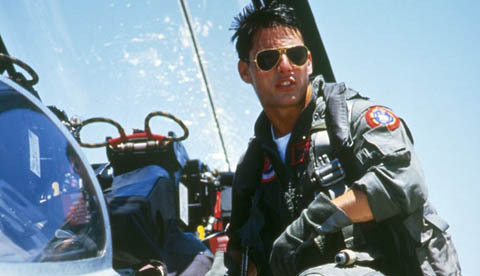 If the rumours are true, then Tom Cruise is in talks for Top Gun 2. Paramount Studios has reportedly hired a screenwriter for the project already, on the eve of a re-release of the original ﬁlm in 3-D. The iconic 1980s hit made Cruise a star and its lines are often quoted by fans. Simon Pegg, meanwhile, is lending his voice to a character in an animated version of Star Wars: the Clone Wars. Pegg plays Dengar, a bounty hunter. Finally, all four Indiana Jones movies are being released on Blu-ray, with plenty of extras and ‘a few new surprises,’ according to the report. Readers can put in an advance order through this Amazon link in the US.